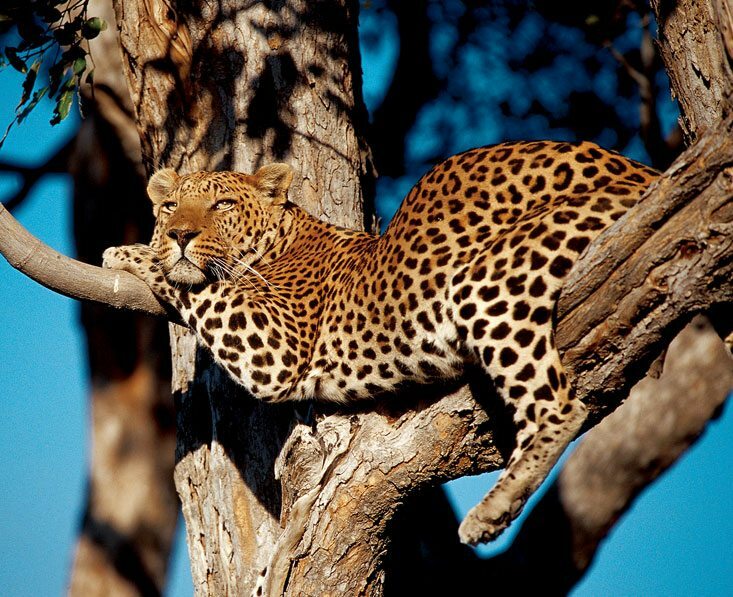 Fabulous wildlife viewing, stunning scenery, top quality guides and the very best accommodation all combine to make this the ultimate Botswana safari. 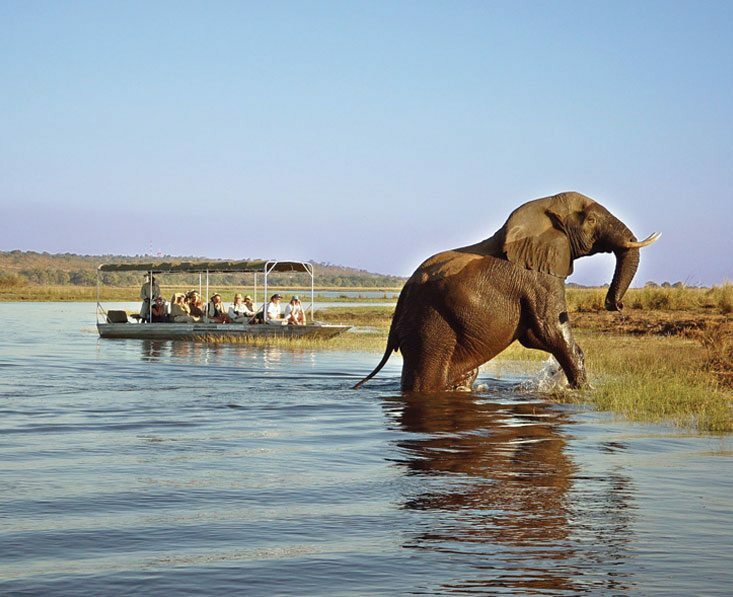 Thrilling 4x4 game drives, serene mokoro trips, motorboat cruises, night drives and guided walks give you a comprehensive, in depth safari and you can’t fail to be impressed by the camps – pure luxury. If you want the best, look no further, this is it! 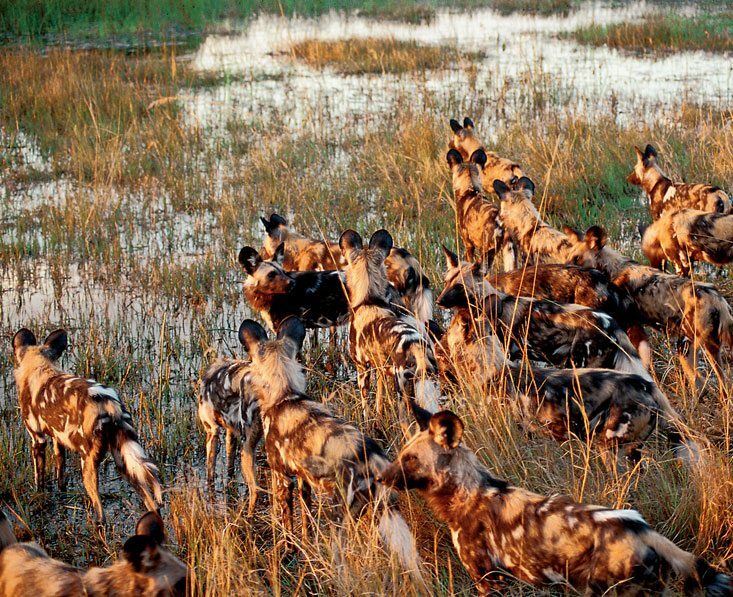 Day 2 With Victoria Falls on your doorstep you’ll have no end of possible activities today. 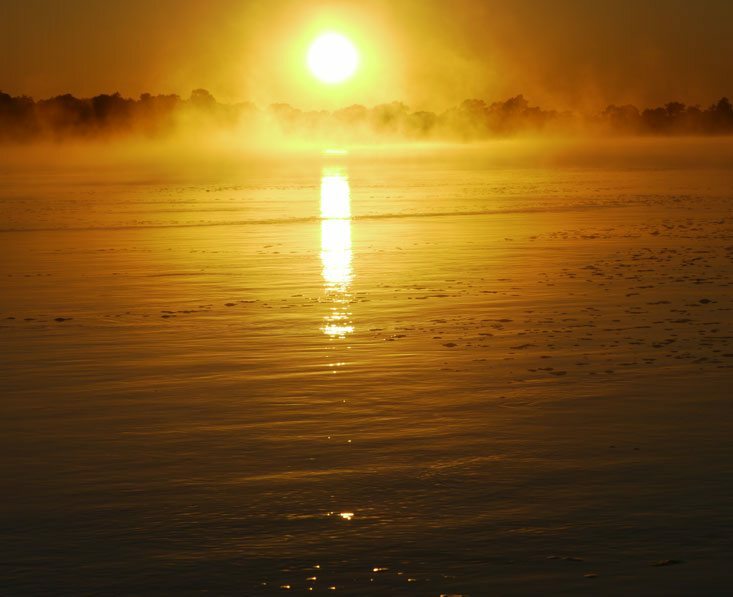 Tongabezi offers free guided tours, sunrise and sunset boat cruises, walks in the gorges below the falls, lunch on one of the islands, and there are many more activities you can arrange on the spot. 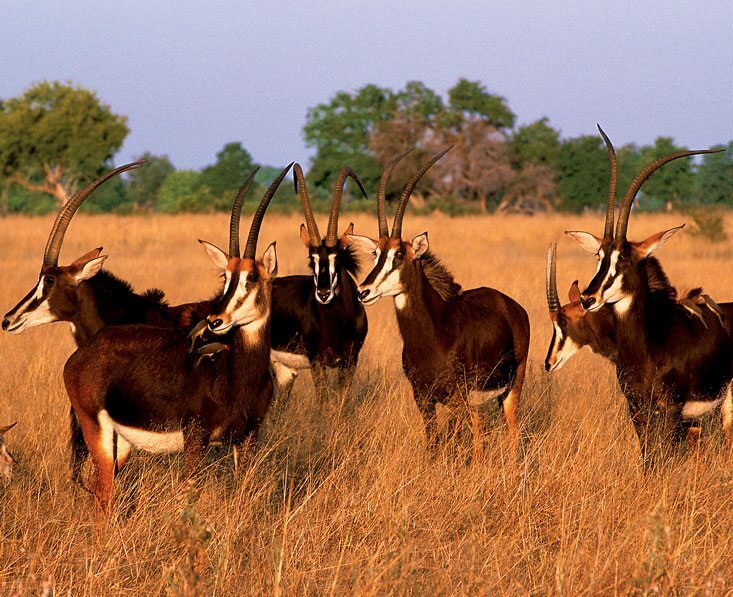 You can also enjoy guided bush walks, game drives and village visits. It’ll be an action-packed day and you’ll sleep soundly tonight. 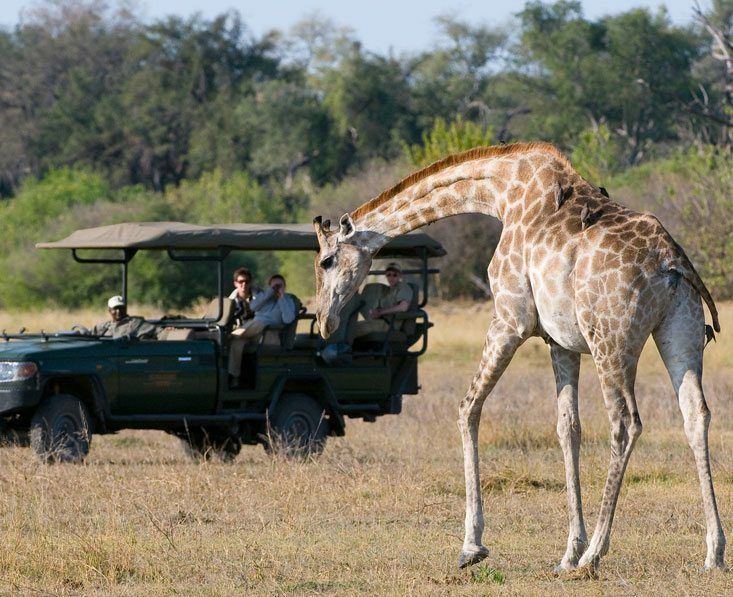 Days 4-5 This morning you’ll venture back out in the 4×4 safari vehicle to spend more time in this pristine reserve. Your guide will happily answer any questions you have and will be keen to impart his love and understanding of the region. 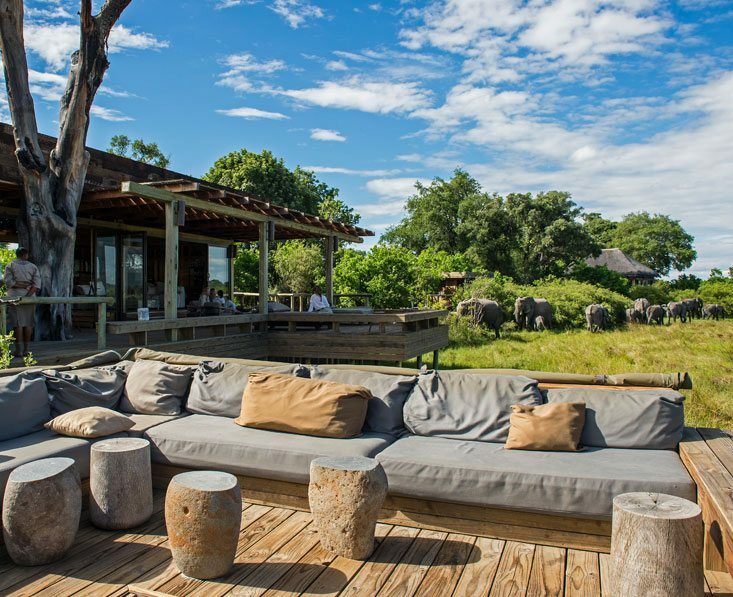 In the afternoon you’ll have the chance to take to the water in Zarafa’s pontoon boat for views of hippos, elephants and a variety of birds. Guided walks with a licensed armed guide enable you to witness small animals and insects and study tracks, developing your bushcraft skills. 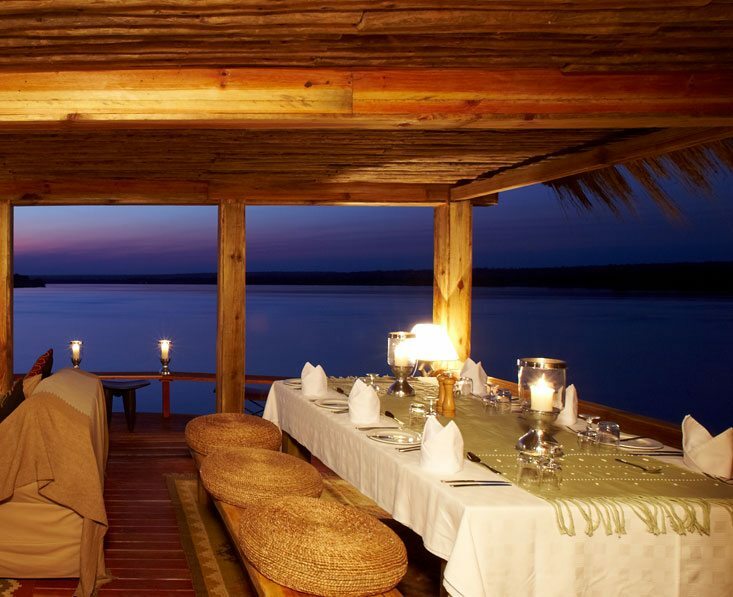 Later round the campfire, you can share experiences with other guests over sundowners. -8 A wide choice of game activities is offered here. 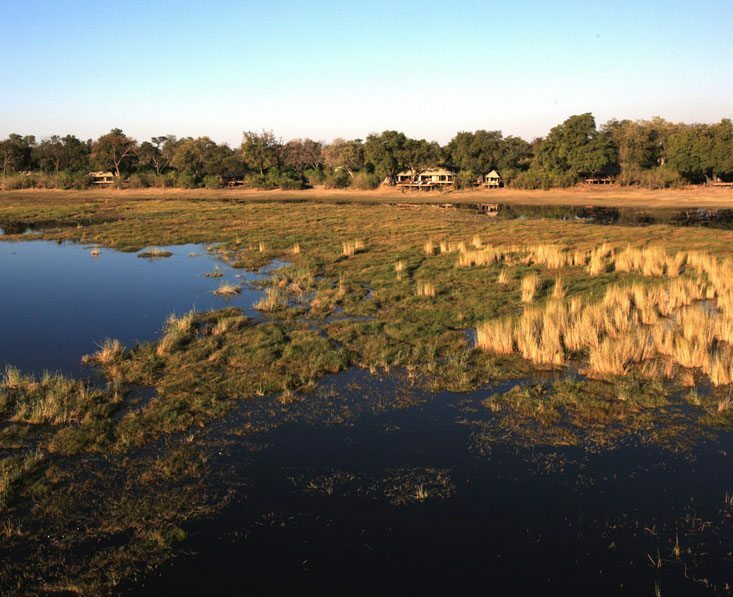 As well as game drives and boat trips you can explore by mokoro, a restful experience as the vessel glides silently through the water allowing you glimpses of water birds and colourful frogs. Nature walks are offered subject to the availability of a qualified guide, while a night drive with spotlights picking out shy nocturnal creatures reveals yet another aspect of the delta. After a long day you’ll be ready for dinner under the stars. 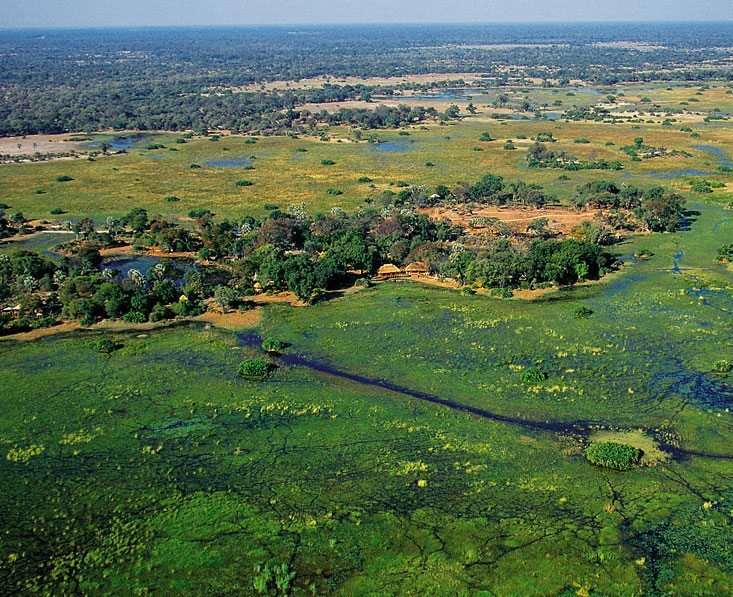 Day 9 After breakfast and your final morning game drive (time permitting) you’ll board a light aircraft to Maun, in time to check in for your flights home. This trip starts in Livingstone and ends in Maun. From the UK, we recommend getting a flight with a combination of British Airways, Air Botswana and/or South African Airways via Johannnesburg. A rough price guide for flights is from about £900 in low season and up to about £1400 in high season, on economy flights. We can change this trip in any way, from duration to places and lodges. This will of course affect the price. This trip can be done in the reverse direction. 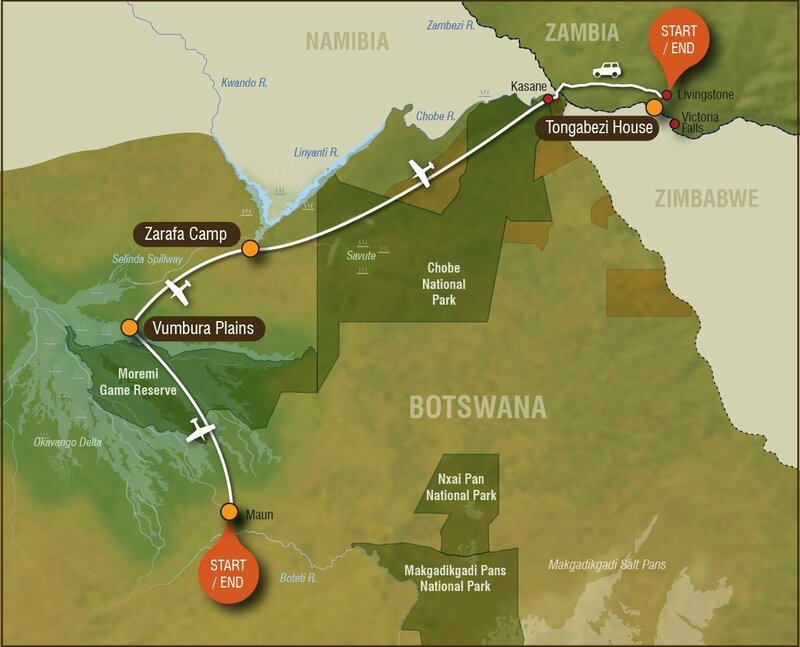 Accommodation on a full board basis, local drinks, road and light aircraft transfers, daily activities, park and concession fees, use of a professional Canon camera and lenses at Zarafa. Visas, international flights, vaccinations, meals not listed, premium drinks, optional activities, travel insurance, items of a personal nature.